Urban exploration is the exploration of man-made structures, such as abandonned ruins or underground tunnels not intended for public access. For many of those active in the hobby, taking photographs of their findings is an integral aspect of the hobby and the photographs are shared online or directly with other urban exploration enthusiasts. Urban exploration can be risky in several different ways. Abandonned buildings may for instance colaps or contain hazardous materials, or the explorer might stumble upon marginalized groups who have sought refuge in the building and dislike the intrusion of strangers. There is also the risk of breaking the law, e.g. by trespassing on private land. Urban exploration is commonly shortened urbex, urbexing, bexing or UE. Various branches of the hobby have their own names, e.g. urban spelunking (caving), urban rock climbing, and draining (where drains are explored). In Japan, abandoned infrastructure is known as haikyo and this term has become synonymous with urban exploration as well and made its way into the English language. 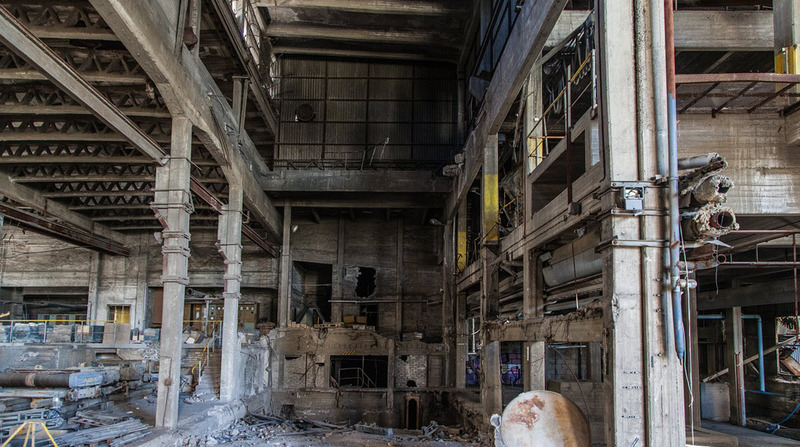 The most well-known branch of urban exploration is arguably the one where abandoned structures are explored, such as closed down factories, old sanatoriums, remaining fallout shelters or even entire ghost towns. A subset of this branch of the hobby is the exploration of abandoned transit tunnels. Many cities have abandoned subway and underground railway tunnels, bores and stations. One famous example is the Rochester Industrial and Rapid Transit Railway, a light rail rapid transit line used from 1927 to 1956. This is a considerably more controversial branch of the hobby, since explorers of active structures often seek to gain access to parts that are intended for authorized personnel only, such as mechanical rooms, elevator rooms, closed-off roof areas or abandoned floors. This is sometimes referred to a building hacking or infiltration. Many catacombs are open to the public, but urban explorers know as cataphiles seek to gain access to whole catacombs or parts of catacomb systems that are not. Examples of cities with extensive catacomb systems are Rome, Paris, Naples and Odessa. Steam tunnels can be either active or abandoned. In both scenarios, they were never intended for public entry. Steam tunnels are typically created for large institutions such as hospitals or universities who need to distribute superheated steam to warm up the buildings. In active steam tunnels, hazards include leaky valves spilling hot water and pressure relief blowoffs letting out superheated steam. Touching hot pipes can cause severe burns. During recent years, steam tunnels in the United States have become better secured against trespassers, not only due to the increased popularity of urban exploration but also because of the perceived risk of steam tunnels and similar utility tunnels being utilized in terrorist activities. Draining is a branch of urban exploration focused on storm drains. Hazards include the risk of being entrapped or washed away and drowned if the drain fills up quickly. In some environments, precipitation taking place far away from the exploration site can still pose a hazard, as can the sudden melting of large amounts of snow or ice. A subset of the storm drain explorers also enter into sanitary sewers. Hazards include exposure to pathogens and the build up of toxic gas, such as methane or hydrogen sulfide.